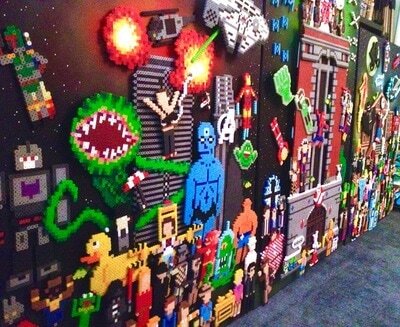 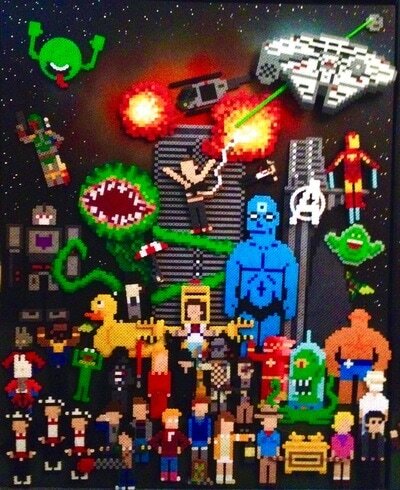 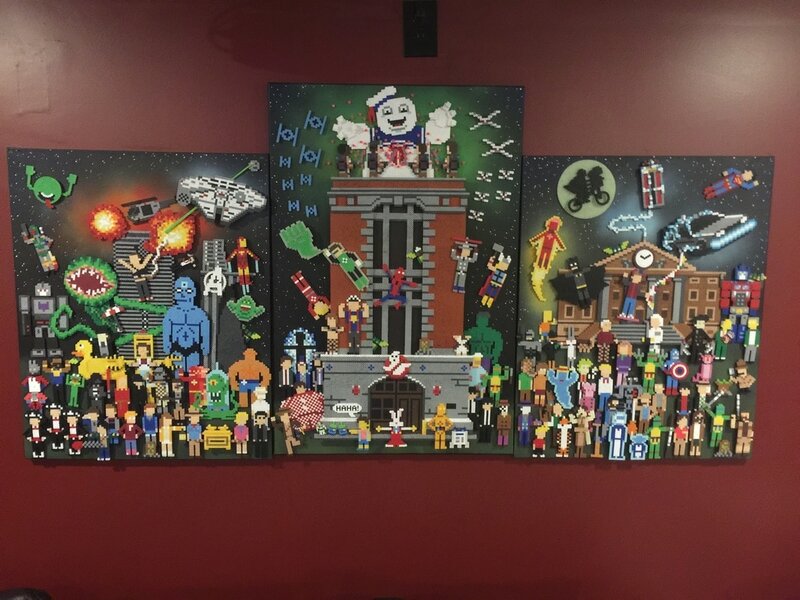 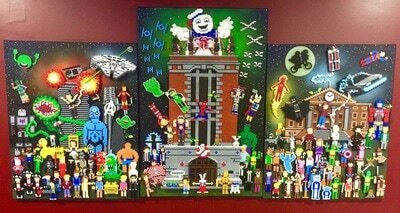 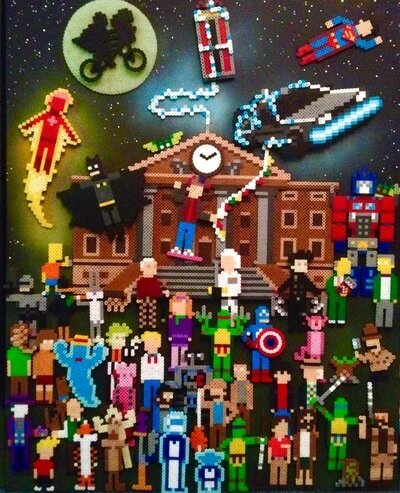 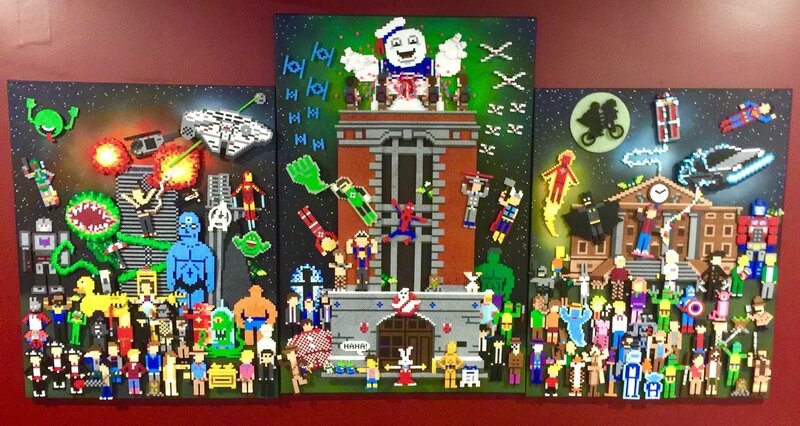 The Mini-Pix mural features a plethora of pop culture characters done in my classic Mini-Pix style! 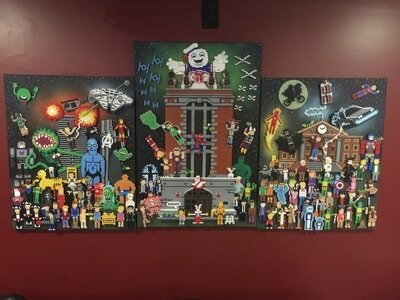 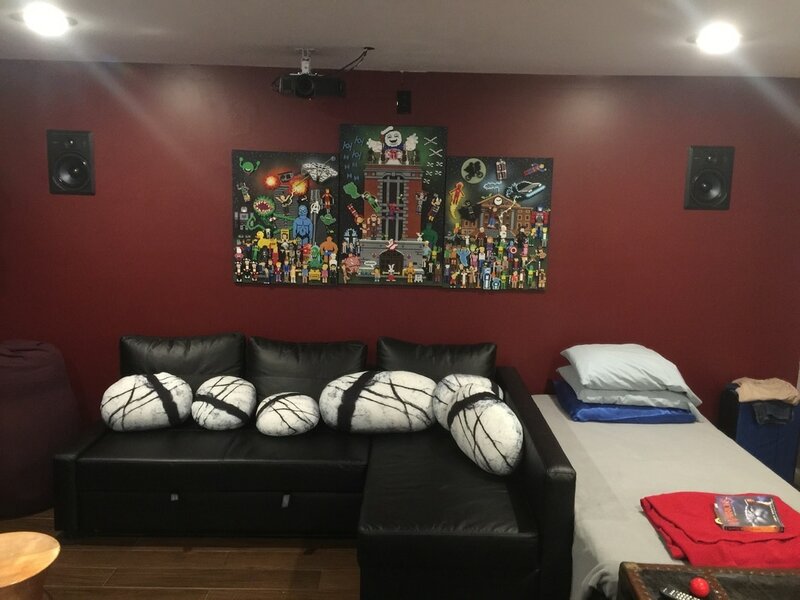 Jam-packed with references, this piece was made at the request of a buyer and includes many of his favorites (which happen to be many of mine!) 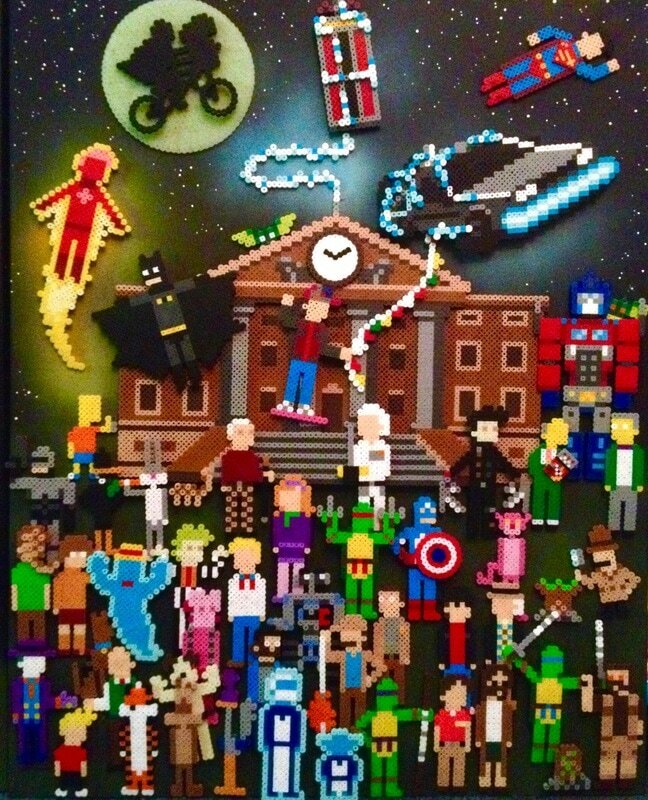 Can you find the Sports Almanac from Back to the Future? 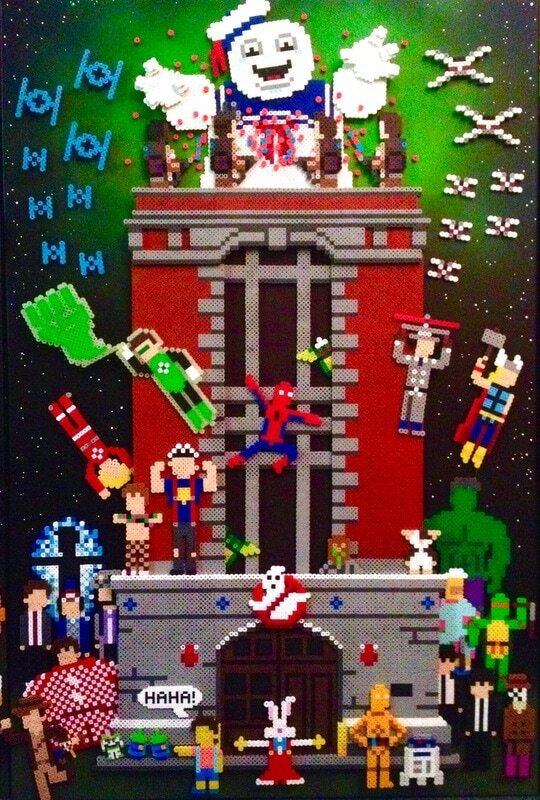 Or all the Gremlins? 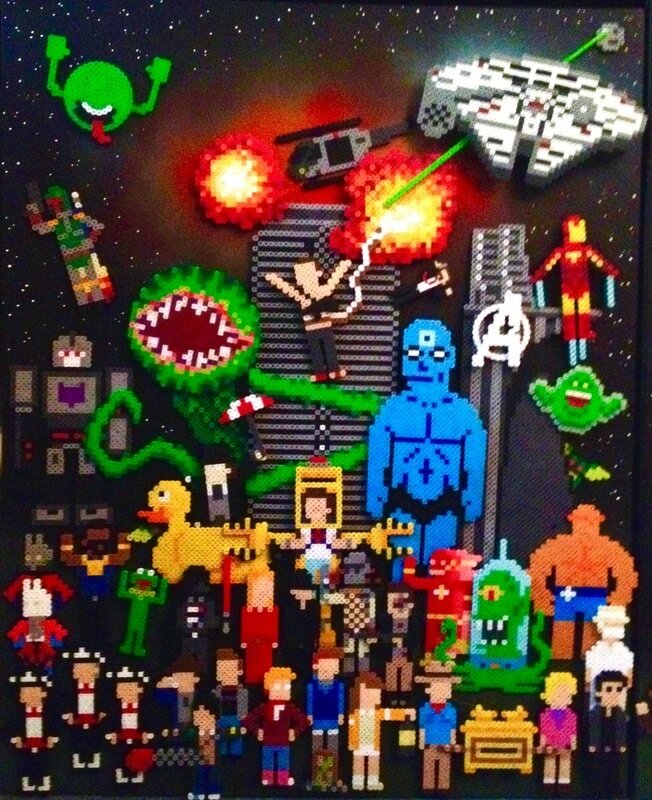 Where did the Facehugger from the hatched Alien egg go?